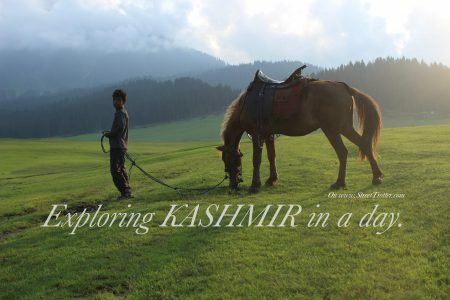 How to explore KASHMIR in a day? Kashmir is heaven on earth – you have heard and read this sentence in various movies, travel magazines and forums. But you will never really know how true it is till you visit this heaven. Srinagar, the summer capital of Kashmir, is one of India’s most celebrated hill stations. It has found a place in literature, songs and movies, and has captivated many by its abundant beauty. Replete with natural wonders, it is also referred to as the ‘Land of Lakes and Gardens’ or the ‘Switzerland of India’.